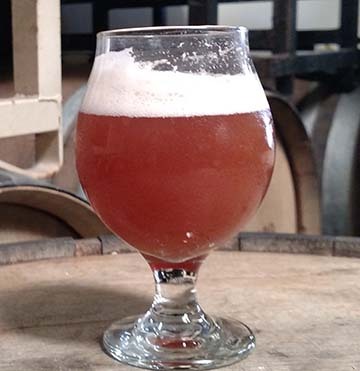 barrels for a year our Summer Rye Pale Ale is delicately blended with raspberries. You're may be thinking we have our seasons confused because we're releasing a summer beer at the end of summer. While we could go into details about production schedules, government approvals and many other reasons we're late on this one, we're going with.... we're helping to celebrate the end of summer with a crisp, light and refreshing delight. We bring you a great way to enjoy the summer "me" time that comes with kids back in school, tourists back at home, and unpredictable summer traffic patterns. So relax. Enjoy. And savor the great weather before the madness of the holidays arrive.